Free Fiction? How does this work? At this time commenting has been turned OFF to control spam and abuse. If you would like to leave a remark, you can get a message to MK via the author's blog. Spammers and trolls should be aware that comments are closely monitored, and dross doesn't linger for long! Looking for the NARC Books? Scroll down to the foot of this page (past the commercial break), and Mel Keegan will share sources and secrets, including the best deals on the books and videos which provide the foundation for this digital novel. [Fair warning: the steamy scene continues. The following text involves sensuality of the male persuasion. The last lesson Faunos learned was that pleasure could be so intense, it almost hurt. He had lost all sense of time and place. The only anchor to reality was the body moving against him, within him, the heat and strength he could not have denied if he had wanted to. And then it began. It always started out as a weightless sensation, as his thoughts grew jumbled, and the phantom scents of lilac and jasmine and bergamot wafted around him, scents from the drowned lands. He opened his eyes to look up into Soran’s face, which was sheened with sweat and twisted with effort and self-absorption. Soft light glowed from beneath Faunos’s skin, but Soran’s eyes were squeezed shut, he saw nothing. The faint light grew, and tiny firefly sparkles began to dance around the chakra points. Lilac and jasmine wreathed Faunos as surely as if he had knocked over the oil jars, and if Soran were one Iota less absorbed in his hunt for completion, he would have seen it all. Panic seized Faunos by the throat. He dragged in a single breath, held it and begged the gods for help. It had to stop, it must. He heard himself cry out the names of Helios and Mayat -- and some mighty hand cast him down like a rag doll, over the edge of pleasure. As suddenly as the Power had begun to run away from his control, it was over. Again, he cried out, just as Soran froze in a sublime moment, enraptured, tortured, stretched taut. For almost a minute the witchfinder was still, content just to breathe. The blue eyes opened at last, dark and replete. His chest was still heaving as he moved away and went down on his back to rest. The loudest sound in the pavilion was the rasp of their breathing, the crackle of the brazier, the soft plucking of strings from the corner where the blind harper sat. Faunos stretched his limbs, felt out his muscles, one by one, and ouched. “So I’ve been told.” Faunos pulled his knees into his belly to ease his spine, rolled over and sat up with another ouch. His mind was a maelstrom, his thoughts scattered on the winds. He knew only that the witchfinder remained ignorant, and there was wisdom in flight “I have to go,” he muttered, though the greater part of him longed to pull up a sheet, try the wine, doze in the hot draft from the brazier. Faunos’s heart slammed painfully at his ribs. Soran was not exaggerating -- it sometimes happened that priests and princes chose a companion from the street, and the most ridiculous thing the chosen one could do was protest. What should have been a great honor swiftly became an imposition, when the fool was collared as a bondsman, indentured to serve in the palace until he or she was granted manumission. “I don’t fear,” Faunos told him, and it was almost true. He had no fear of Soran, only of being bonded to the palace while the old books rotted in the sea cave, and Galen fretted for him. And of being recognized for what he was. The sheer foolishness of coming here had begun to settle on him like a physical burden, and already he felt trapped as the rabbit in the snare. The witchfinder leaned over and kissed him, hard, deep, searching. Against all his better judgment, Faunos embraced him, and thrilled at the hard press of bone and sinew, the sharp tang of fresh sweat, so male, so primal. He brought Soran down onto the divan, and then they were wrestling, trying their strength like colts. It was a match Faunos could not hope to win, though he threw his full measure into it. Soran could probably have broken him, if he had wanted to, but he exerted just enough to get the better of Faunos, and have his way. On his knees now, Faunos let pure sensation engulf him. The Power throbbed in his belly as pleasure coursed along his nerves, but this time he knew what was happening, and the prayers to any god who would listen were already on his lips. He groaned in denial as the Power coalesced in the pit of his stomach and spread outward, shimmering in every extremity. His teeth closed on his lip, drawing blood there, and he murmured to himself in the ancient language, which Soran could never have understood. “No, not now, not here, please gods, not with him!" His hands clenched into the silk in a desperate bid to control it, for if he did not smother the Power, choke it off before it began, the witchfinder would surely know. Soran was too wild to hear the old, old words, and could not have known what Faunos was saying. By an effort of sheer willpower Faunos clamped down on the energies surging inside him. Galen was still trying to teach him how to control it; he had years of studies left, before he would be the master of the forces that consumed him. Pleasure dwindled away with the Power, and for him it was already over while Soran was still hunting. He closed his eyes, breathed deeply, waiting for Soran to be done, and at last it was the witchfinder who cried out, low and growling. Moments later Soran grew heavy on him, and Faunos knew he was asleep. Exhausted, spent. He had earned the rest. Very carefully, he disentangled his limbs and stood shakily by the divan. He felt odd – a little bruised, a little raw, and inestimably sad. More than anything, he wanted to swim. He dressed quickly, and Soran did not move as Faunos studied him in the lamplight. He looked so young now, when sleep stripped away the arrogance of rank. He looked almost like a boy, Faunos thought. He stooped, touched Soran’s face but did not wake him. He murmured in his sleep – quite unlike the witchfinder, the hunter who trapped and captured those who had been marked for arrest. In sleep his face was gentle; and he was a gentle lover. And he would no doubt be spitting with fury when he woke and discovered himself alone. Without a sound, Faunos opened the flap and stepped out into the sharp night air. At his feet, the camp master had just stoked and lit a second pipe. The man’s eyes glittered with ribald humor as he watched Faunos go by. No need to ask if satisfaction had been delivered, Faunos knew. He must have heard every whimper, every cry. He gave the camp master a hard-eyed glare and stalked away. Midnight was long past. By the stars, dawn was not long away as he skirted the dunes and climbed the cliff path. The storm had washed in mounds of bull kelp, which had already begun to smell a little rank in the light of the full moon. He wrinkled his nose at it as he hurried back toward the ruins of the old city. A self-confessed science fiction and fantasy devotee, Mel Keegan is known for novels across a wide range of subjects, from the historical to the future action-adventure ... but certainly MK is best known for the NARC series, featuring iconic characters Jarrat and Stone. Mel lives in South Australia with an eccentric family. QUESTION: Why is this digital novel free? ANSWER: It's an experiment. Mel Keegan is putting a new publishing system to the test. Will readers like the digital novel concept; and, if they do, will they support the "free fiction" by sending other potential readers to these pages ... on the clear understanding that this is professional fiction for which the author's income is generated ... not from your pocketbook! ... from the advertising carried on these pages! So ... how does it work? Easy. Enjoy the novel ... download it, save it to whatever device you like to read on -- but don't send the files to your friends. Send them this url: http://mel-keegan-legends.blogspot.com/2009/01/1.html. Remember, the only income MK earns from this novel is generated via the advertising on the site, so it doesn't work if you just email the files. Thanks for your help here. Tell your friends, because the more people are on this page (and reading this bit), the better chance Legends has to reimburse the author ... which will keep more coming along -- massive SF novels like Crystal Genesis and fantasies like Blood and Fire. There's several ways you can support this project. Obviously, you can donate $1 with a click on the PayPal button below. You can also notice the Google ads, in the event that you're looking for something and Ma Goog can actually help -- it's far from impossible for The Goog to render assistance, and the author isn't left out of the commercial loop! Then, at the foot of this page you'll find some very good offers and deals on goods and services which we've test-driven thoroughly: no junk here; you might just find something you've been needing. Scroll down for a look. Lastly, consider the Amazon connection. You might not realize this, but if you're shopping for anything -- music CDs, jumpdrive, camera, anything! -- if you enter Amazon from this page and strike out from there on your own, a small percentage of the shopping you were already intending to do comes to MK as a "referrer's fee." Next time you're shopping Amazon for anything, simply start from any button on this page, and you're automatically supporting this project! Easy. Mel Keegan has written scores of stories and full-length novels, many of which are still available, and a growing number of these novels are appearing via Amazon.com. Visit Mel Keegan Online to see the whole collection; swing by the bookstore there for ebooks, paperbacks and hardcovers. Visit Amazon.com and read the many reviews of MK's work appearing there ... shop right from this page, or visit the Mel Keegan Store at Lulu.com to see the full range available in hardcover as well as paperback! Interested in the research behind this novel? Scroll down to the foot of this page, and Mel Keegan will share notes and sources. Sure, it's a fantasy; but it's a misconception that fantasy novels don't have to be researched. They do! The question is, when you're researching a subject like Atlentis ... where in the world to you start? This story has its roots in the 1980s. About the time I signed with GMP, I was kicking around the idea for a massive novel -- the problem being, I had no time to develop it. At the time, one of my "literary friends" was Lane Ingram, who passed away some years ago. When Lane volunteered to develop the narrative from my storyline, I was surprised and very agreeable; and a version of it was circulated on a small scale, to a very appreciative audience! Lane had no aspirations to be a professional novelist, which meant writing was fun, and remained fun, while I did battle with "style" and "technique." And then one day Lane was gone, without leaving much of anything to mark the place in the world which had once bee occupied by an individual who was large in every sense of the word. Let's change that. I'm bringing LEGENDS "to the screen" in a form which preserves as much of Lane's input as I possibly can, while at the same time properly developing it, bringing it up to full professional standard ... cutting and trimming, correcting the errant, though enthusiastic, amateur ... polishing it to the professional sparkle you've come to expect from Mel Keegan. LEGENDS will be Lane's memorial. Here's to you, kiddo, wherever you are: enjoy. Downloading LEGENDS and reading from the computer screen? Join the club! Most people are stuck in the same situation ... and it's a right-royal pain. At this time, MK also is still trying to make the transition to one of the ebook screenreaders. The price of most of them is still high, but in the course of shopping around, Mel has found two that are coming under extremely close scrutiny. The Bebook and the Sony look like being the best deals at this time. In due course, we'll be reviewing them right here. Mel Keegan has decided it's going to be one of these two -- but they're very comparable, so ... take your pick. Either one would be perfect for reading LEGENDS, or other digital novels. Every title hand picked, many of them already reviewed AG's Gay Book Blog -- hundreds of books and movies spanning a couple of decades, celebrating gay publishing and filmmaking! The art appearing on this site, illustrating elements of this novel, is by Jade, my cover artist from DreamCraft. Soon you'll be able to order prints, treeshirts, mugs, mousepads and a lot more, featuring this artwork and manufactured in the US by Zazzle.com. The NARC novels are now at Amazon! 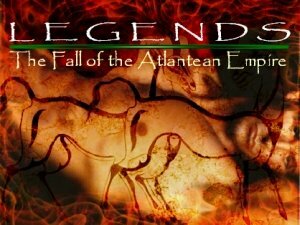 A great deal of research for this novel was done, and subjects Atlantean most often begun with a study of the Trojan wars. Why? Because the iLiad is one of the very oldest bodies of writing which is also extensive enough to be useful. The problem with the iLiad is -- unless you're fluent in Ancient Green (and who is?) you'll be working from the translations ... and the "disagreement" between them is counfounding for one who's not a Homerian scholar! The solution? Track down a book that translates the translations -- gets them out of the rich, ripe, flowery language of poetry and into a solid historical context. And in this, MK lucked out. Such a book exists: The Trojan War by Barry Strauss. It reads like a novel, and if you wanted something to get your teeth into ... perhaps after watching the movie, Troy, or after reading Legends -- this is the book you've been looking for. There's another very scholarly work, The Flood From Heaven by Eberhard Zanger, which "deciphers the evidence" and places Atlantis at Troy! Now, Legends is about five thousand miles from Zanger's work (literally -- due west!) but having said that, Zanger is to Plato what Strauss is to Homer, and the work was extremely helpful. Now, working even further back through time, you want a "scholar" (and note the quotation marks on that word) who spent a lifetime researching (ouch!) Atlantis. And again, MK lucked out, because there is such a man. A very brilliant man by the name of Ignatius Donnelly, whose "pop-science" book, dating from 1882, is still in print today, in several editions! It's thorough, it's astonishing, and it makes ... quite a case for Atlantis. Not that anyone believes in such things. Right? There are also some good documentaries on DVD, if this is altogether far too much reading! And of course, if you want to get into the spirit of the thing (!) you can always put on Troy and let Brad Pitt, Orlando Bloom, Eric Bana and company provide the inspiration! Speaking of which, have you seen the director's cut? Highly recommended. COPYRIGHT INFORMATION: Legends is copyright 2009 by Mel Keegan. Please do download the whole novel, which is in HTML format, compatible with your screenreader, PC or Mac. However ... please don't gift it to your friends. Instead, give them the url of this page and recommend that they download it for themselves. 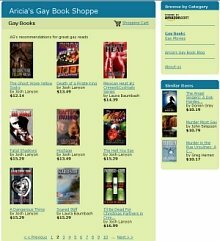 The reason is simple: author's income is earned via the adverting on these pages. If they're not loaded, nothing is earned. MK has bills to pay too, and for your cooperation ... thank you kindly! Note that Legends is NOT covered by the "Creative Commons." This work is the intellectual property of Mel Keegan. If you would like to use parts of it elsewhere, please contact MK via this blog.